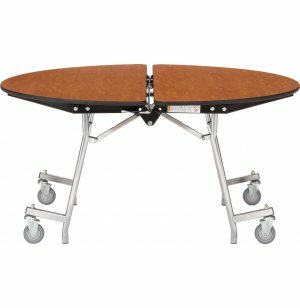 NPS Round Mobile Cafeteria Table - Plywood 72” dia. Shown with chrome frame. 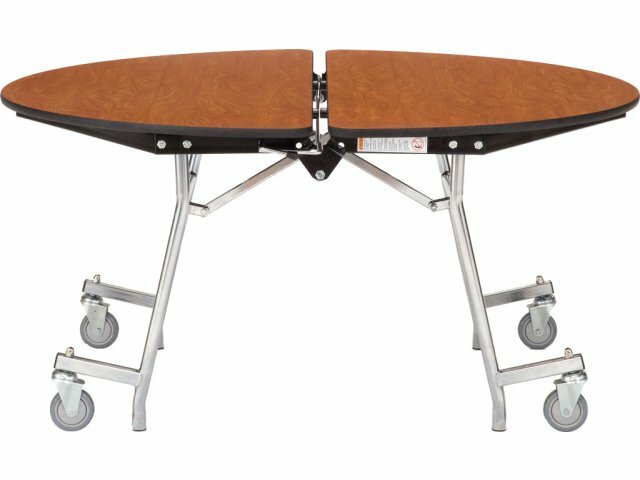 This model features a textured black frame finish. 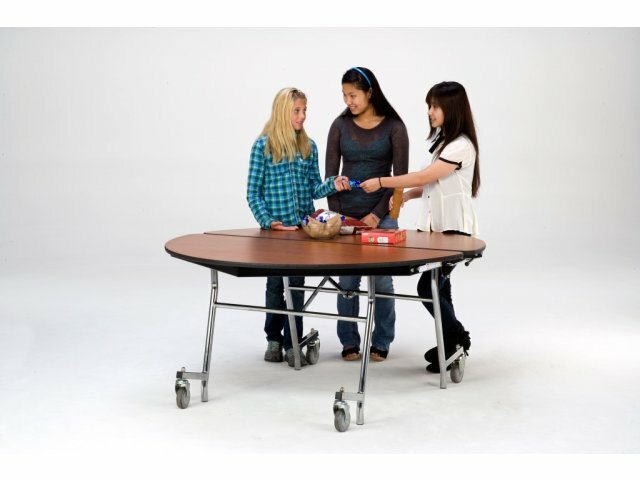 A plywood core makes this round cafeteria table a sturdy choice for any school or company.